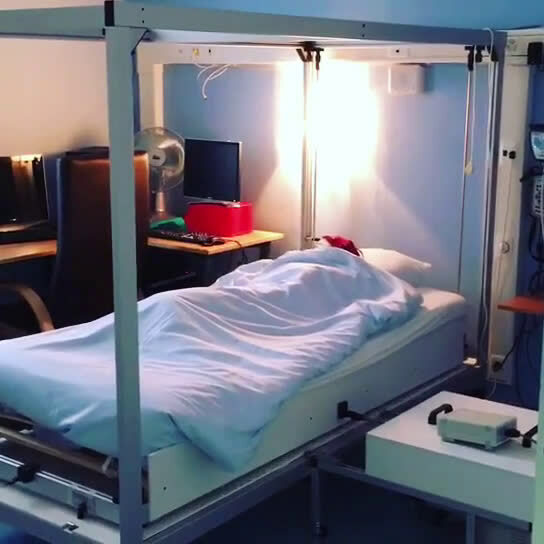 The researchers enlisted 18 healthy young adults to undergo sleep monitoring in the lab. The first night was intended to get them used to sleeping there. They then stayed two more nights—one sleeping on a gently rocking bed and the other sleeping on an identical bed that wasn’t moving.